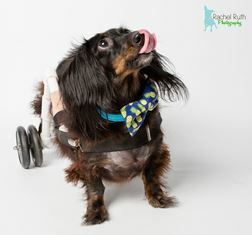 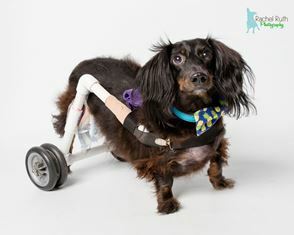 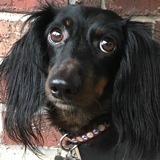 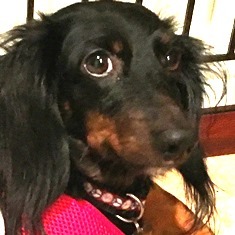 Timmy is a really sweet boy who was surrendered to DREAM because he is paralyzed. 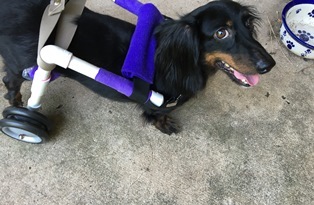 He's playful and cuddly, and doesn't seem to be bothered at all by his disability. 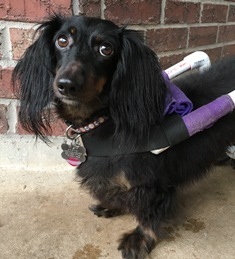 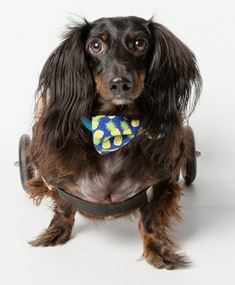 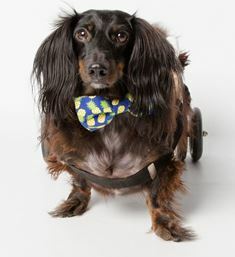 Timmy would do fine in an apartment, but because he is completely paralyzed, he wears a "drag cape" during the day, so he can pull himself across the floor. 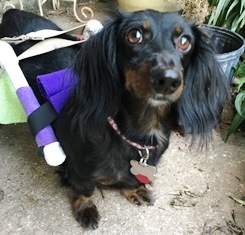 This keeps him (and the floor) dry and protected. 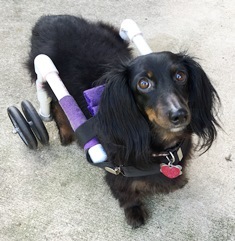 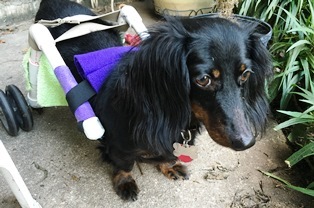 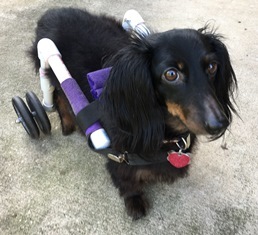 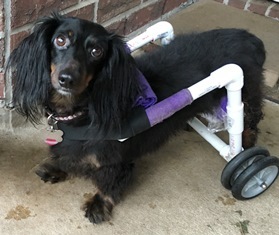 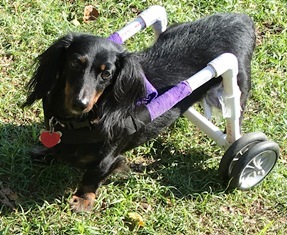 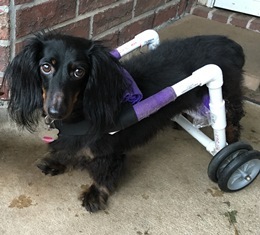 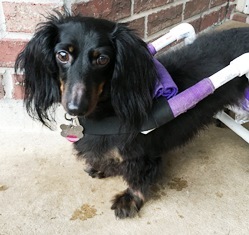 He loves his cart (doggie wheelchair), which he can use while being supervised, for a few hours each day. 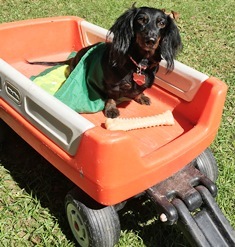 When he's in his cart, he can run and play, just like a normal dog.